In 1968 the UCI Track Cycling World Championships were held in Rome and the Italian Post Office (Poste Italiane) issued a pair of commemorative stamps to mark the occasion. Issued on the first day of the championships on 26 August of that year, this vintage postcard is an excellent example of a “maximum card” - a postcard carrying a postage stamp on the picture side, rather than the reverse of the card, where the stamp, cancellation and postcard are in concordance. 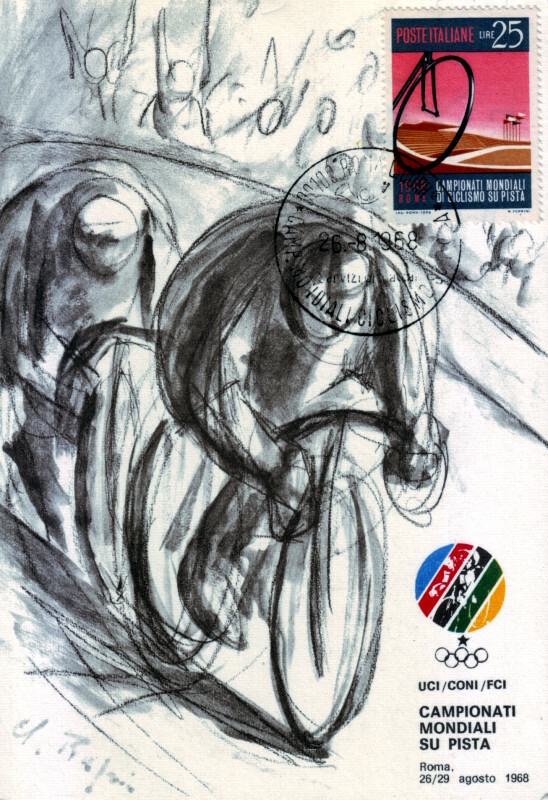 The 25 lire postage stamp was designed by R. Ferrini and features a dramatic view of a racing bicycle as it flies around the Olympic Velodrome (Velodromo Olimpico) in Rome. Constructed for the 1960 Summer Olympics, the Velodrome was little used in subsequent years and the 1968 track events appear to have been its last. It was eventually pulled down in 2008. The first day of issue postcard was produced as a philatelic collectors item by the Circolo Filatelico Numismatico “G.Piani”, a stamp and coin collectors circle based in Imola, and was stamped and numbered by them as No. 1529 on the reverse, although I have no idea as to how limited the edition might have been. The artist signed postcard was printed by another local Imola firm Galeati. Coincidentally, the other stamp in the pair – not seen on this postcard - celebrated the 1968 UCI Road World Championships which were held in Imola. 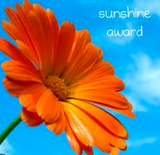 The Tour de France has its yellow jersey, the Giro d'Italia a pink jersey, but the UCI awards a rainbow jersey and gold medal to the winner, hence the rainbow badge in the bottom right hand corner. Check out the Vintage Postcard Store for more Vintage Cycling Postcards!